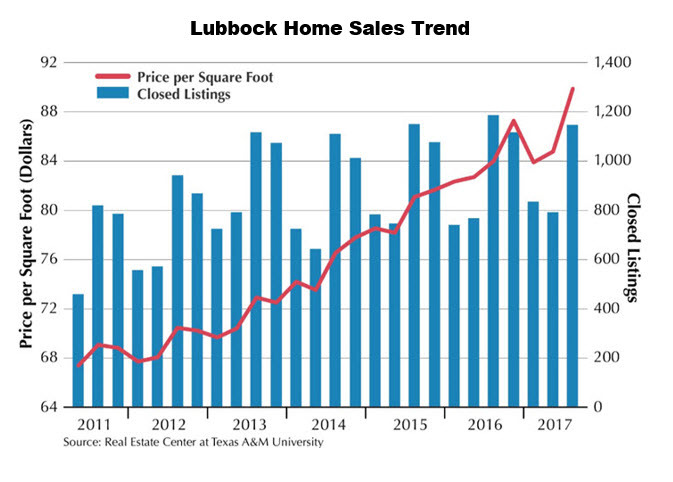 Population growth boosting Lubbock housing market Population growth boosting Lubbock housing market https://www.recenter.tamu.edu/news/newstalk-texas/?Item=18073 2017-10-16T05:00:00Z 2017-10-16T14:00:00Z ​LUBBOCK – The local housing market has been humming along thanks in part to a boost in the local population, according to latest Real Estate Center data. Since 2010, the county’s population growth has been above average compared with prior years. As of 2016, the Census Bureau estimated the City of Lubbock’s population at approximately 252,000. As a result, home sales have surged. Sales in Lubbock County grew at around 5 percent year-over-year in both 2015 and 2016. As of August, year-to-date (YTD) county sales in 2017 totaled 2,634, over 100 sales short of where the county was last year. Even to the south and southwest of the city, where many of the area’s sales are recorded, sales have begun to slow. As of August 2017, YTD sales in ZIP codes 79424 and 79423 were 1,160, which is below August 2016’s YTD total of 1,257. Lower sales could be due to the decline in active listings, especially for certain price ranges. In response to current market conditions, Roberson said single-family construction sales through the MLS have picked up. The bulk of this activity is to the south, but there are also pockets of activity outside the loop to the west and northwest. “Building permits for single-family starts surged late in 2016 and early 2017, so construction starts could soon rise very quickly,” Roberson said.